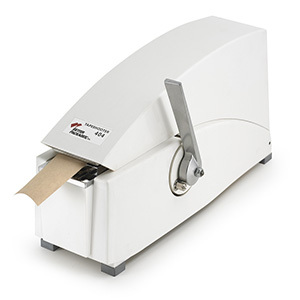 We offer a wide variety of water-activated tape dispensers and gummed tape dispensers for all your packaging and shipping needs. 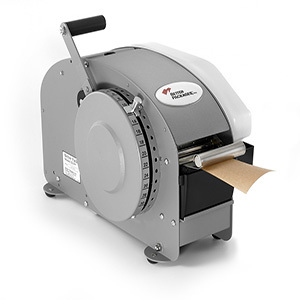 We also stock the supplies needed to run your gummed paper tape dispenser. 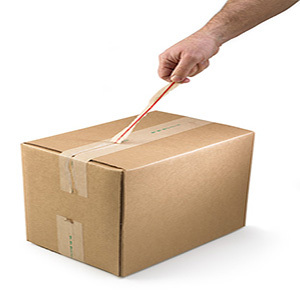 Anti-pilferage – Water-activated tape is tamper-evident to prevent theft. Once the tape is removed from a carton, it cannot be resealed without clear evidence of tampering. Security – This rugged tape can be applied in dusty, dirty, hot or cold environments and still be reliable. Sustainability – Water-activated tape is fully recyclable. Brand image – Electric gum tape dispensers can have the added feature of applying key information or branding to any package. 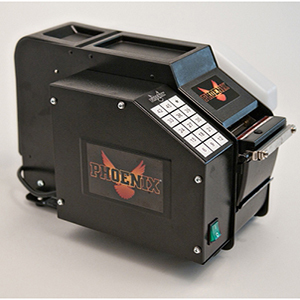 The gummed tape dispensers we offer are rugged and reliable in securing your packages. 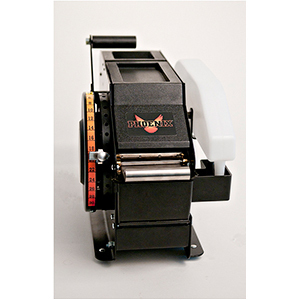 Our manual machines have 15 preset tape lengths that dispense as the operator pulls a lever. 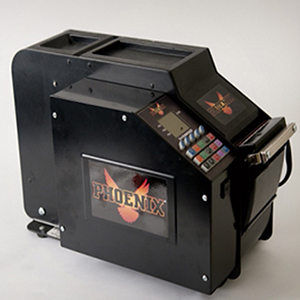 If you’re doing less than 100 cases per shift, we suggest using a manual machine. 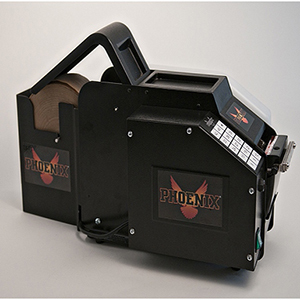 If you’re sealing more than 100 cases per shift, we suggest using an electric machine. 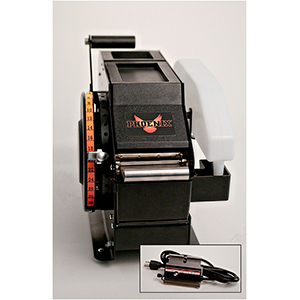 Electric gummed tape dispensers can operate at speeds of 45 inches of tape per second. 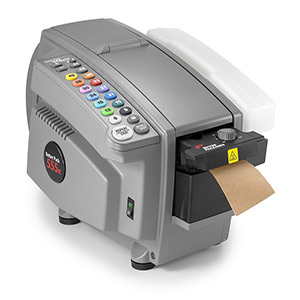 They are meant for high volume, rapid shipping environments. 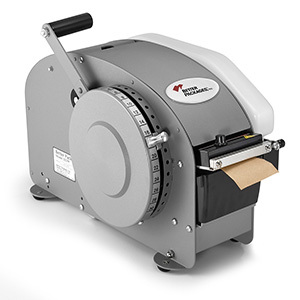 A water-activated tape dispenser from Hughes Enterprises will be accurate and dependable and eliminate downtime for your packaging processes. Talk to us at 1-855-604-9194 or contact your Hughes sales representative to start optimizing your shipping operations today. 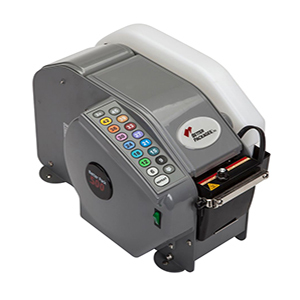 Hughes Enterprises offers water-activated tape dispensers from industry leaders, Better Packages, Inc. and McDonald Company Machines. Get unmatched maintenance and support for the lifetime of your packaging equipment with Hughes Enterprises. 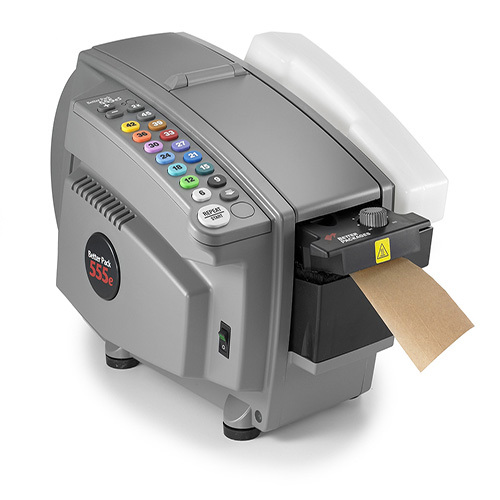 Which Packaging Tape is Right for Business?